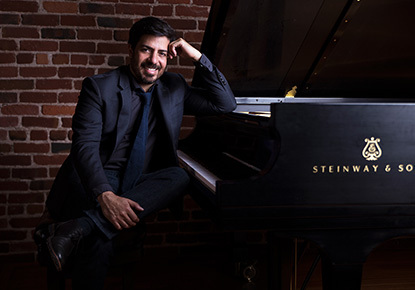 Wednesday, June 13, 2018, 7 – 8 p.m.
Join renowned pianist and composer Murray Hidary as he performs his evocative MindTravel music experience, with visual art projections, in a salon-style evening at the Central Library. Relax, kick back and be transported by the beauty of Murray's real-time piano compositions. This unique experience will leave you with a renewed sense of connection, creativity, inspiration and freedom. It’s not to be missed! Doors open at 6:30 p.m.
Library events and programs are free and everyone is welcome. Online registration is not required but recommended.